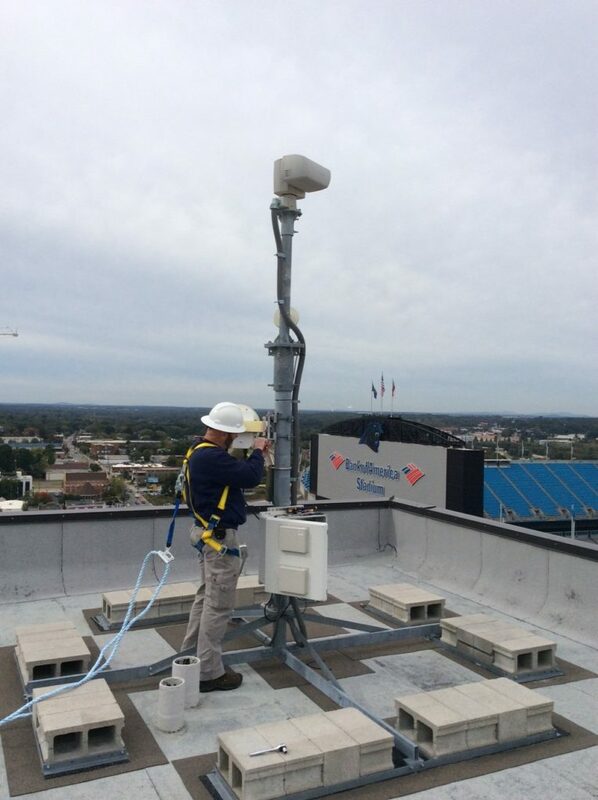 When Berkley Dickens, Manager of Broadcast Engineering for the Carolina Panthers, needed an outdoor robotic camera system for Bank of America Stadium, we were the first service provider he called. As it turned out, this wasn’t just a straight-forward camera install. One of the requirements for this stadium camera was that it needed to be completely wireless for both data streams – video as well as the camera control. This is the type of challenge that most vendors don’t want to tackle – they are willing to do half wireless, but the other half they will require a wired installation. Our solution was to use high frequency microwave and two antennas – one for video and one for full pan-tilt control of the camera. We have had a long working relationship with the Panthers staff – whether it is a custom outdoor robotic camera solution, or in-studio cameras and telestrators used by coaches in the training rooms – we always look forward to working with them.